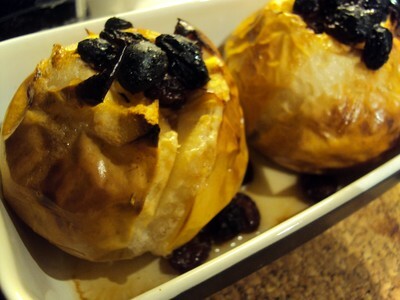 I like to eat steamed or oven cooked fruits which are good for a better digestion. 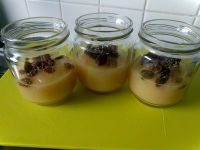 Usually, when I have some guests home and that I made for them a quite heavy dinner, I like to serve a light dessert for finishing the meal. 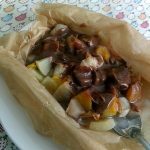 I am not a huge fan of fruit salad so I like to make some steamed fruits parcel with an indulgent part such as a quick chocolate sauce. 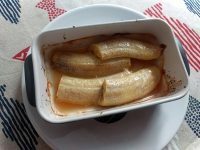 For summer, I made this recipe with apple, nectarine, and banana. 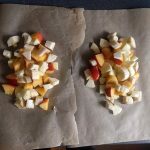 The combination of fruits can be easily changed toward the season. 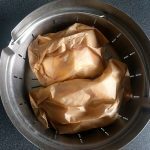 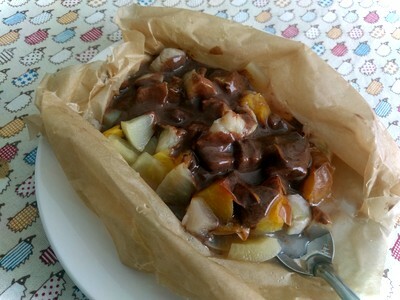 How to make Steamed fruits parcel with chocolate sauce?